Engagement rings typically feature diamonds. But while diamonds may be a girl’s best friend, that doesn’t mean they’re always budget-friendly! Many men stress over finding an affordable diamond engagement ring for their bride-to-be, but as it turns out, the best option may not even be a diamond at all. Moissanite gemstones are a great alternative to natural diamonds, offering that same signature sparkle at a price that won’t break the bank. Moissanite gems were first discovered in 1893 in a crater in Arizona by Henri Moissan, a French scientist. At first, Moissan thought he had discovered diamonds, but he later realized that the stones were not diamonds because they were made out of silicon carbide. The natural moissanite stones that Moissan discovered were incredibly rare, so the stones that you find in jewelry stores today are usually made in laboratories. Moissanite looks very similar to real diamonds, but it is much less expensive. For this reason, many couples choose moissanite engagement rings in order to save money. Other couples choose moissanite rings as a way to make an environmentally friendly engagement ring purchase. Before you make this decision, though, it’s important to understand the differences between moissanite gemstones and diamonds. Many women dream of having a diamond with a lot of sparkle and shine, but brilliant diamonds can be fairly pricey. Fortunately, moissanite is even more brilliant than real diamonds, and they’re a fraction of the price. Moissanite is known for its incredible brilliance, which is more noticeable in larger stones. Buying a moissanite is the perfect way to get the look that you desire without going over budget. 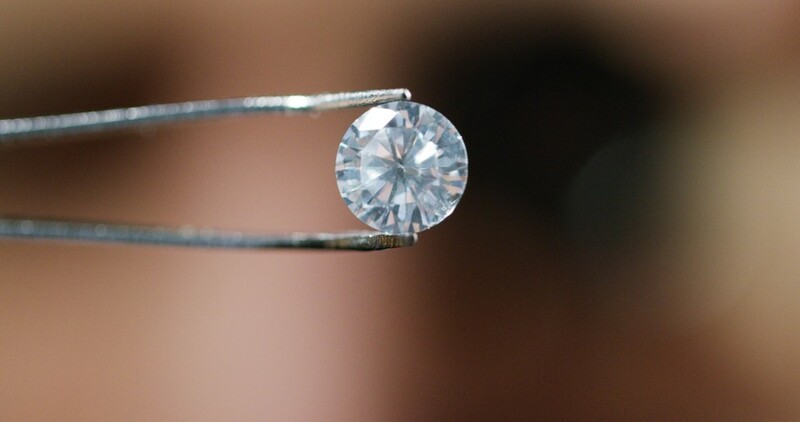 One of the most noticeable differences between moissanite and diamonds, though, is the color. There is no color grading scale for moissanite, but many of these stones do have a slight yellow or gray hue when placed under natural light. Both diamonds and moissanite gemstones have impressive scores on the Mohs Scale of Hardness, which rates the hardness of different stones. Diamonds have a perfect 10 rating, but moissanite is not far behind at 9.25, which makes them great for everyday wear. Although moissanite gems are not as hard as real diamonds, there is not much of a difference between these two ratings, so moissanite should hold up just as well. In fact, a 9.25 rating is higher than any other gemstone that is used in jewelry, including sapphires, rubies, and emeralds. 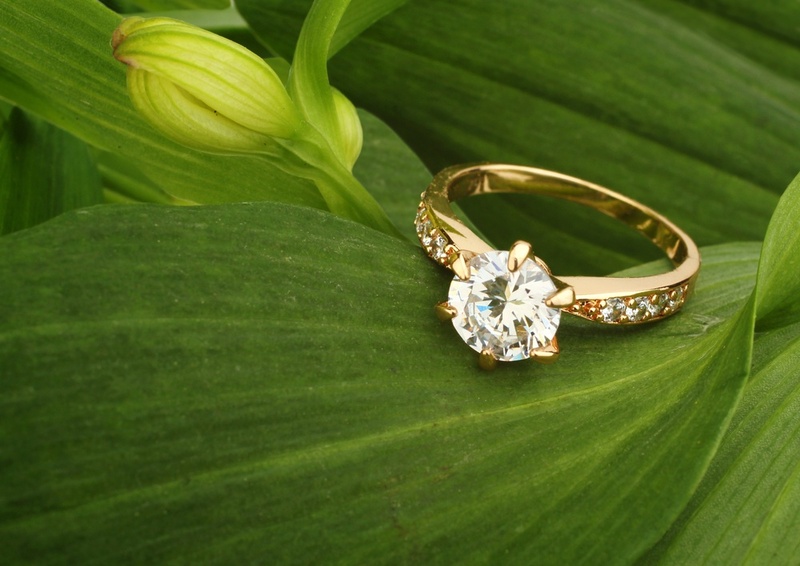 As previously mentioned, green-conscious customers should also appreciate that moissanite is very eco-friendly since it is manufactured in a lab instead of mined from the Earth. 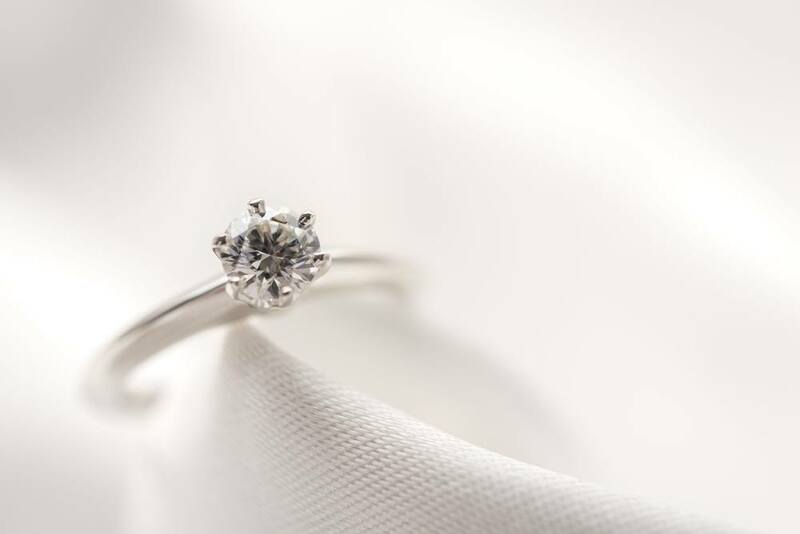 If you buy moissanite, you don’t have to worry about researching whether the stone is conflict-free or looking into the mining methods that were used to find your diamond. Although there are some differences between moissanite and real diamonds, they are very hard to distinguish, even for people in the industry. If you are looking for an affordable engagement ring for her, a moissanite ring is the perfect choice! To learn more about other diamond alternative options, check out our Non-Diamond Engagement Ring Style Guide!